After last month’s groove-filled, “Astral Body”, Lefteris Moumtzis unveils another track called “Journey” and details his first solo album, under his new moniker Freedom Candlemaker, Beaming Light. It’s due out on CD and vinyl on February 22 via Inner Ear Records. 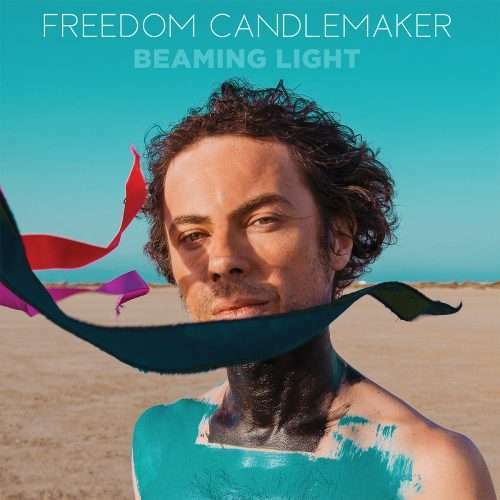 Freedom Candlemaker’s new album Beaming Light is the culmination of his extensive musical journey and is aiming to reach far and wide and make his music known to an international audience. Beaming Light marks a departure from the artist’s previous output both sonically and symbolically: it is a radiant album that doesn’t carry the deep melancholy of his earlier work. 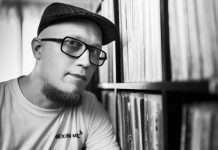 Delving into uncultivated sonic areas, he finds a perfect balance between dense synth and guitar-based arrangements and his insightful song writing, within a dreamy and nostalgic scope. In Beaming Light, Lefteris is seeking to reach a harmonious connection between past and future, childhood and adulthood, earthly and divine. The main thread of the record consists of themes of spirituality, empathy and achieving peace with one’s inner being, through constant change and reinvention. 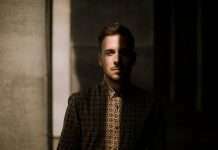 The album was recorded mainly in Athens and is produced by Alex Bolpasis, one of the brightest young producers in Greece and also long-time friend and collaborator of Lefteris. Besides Lefteris playing bass, guitar, piano and synths, the album features the musicians: Michalis Kapilidis (drums), Dimitris Hatzizisis (guitars, violins), Vassilis Vlahakos (guitars, piano), Fotis Siotas (violins), Orestis Benekas (synths) and Hristos Hatzihristou (synths). The album artwork is based on the unique photos of photographer, writer, curator and journalist Filep Motwary.